﻿ Brown Sugah Scrub Review: Does It Really Heal The Damaged Skin? Sweet Honey Dip Chocolate Brown Sugah Scrub is an organic exfoliant made with natural ingredients that exfoliate the skin. Aside from exfoliating the skin, the essential oils in contained in this product counteract the dryness that can be brought about by the exfoliation. Lisa, daughter of Carol, started out making homemade natural beauty products for the hair and skin in 1993. Encouraged by her mother, she worked and made herself known in the industry. She named her company Carol’s Daughter as a tribute to her mom who encouraged and helped her become who she is. To reap the effects of Carol’s Daughter Sweet Honey Dip Chocolate Brown Sugah Scrub, scoop a handful amount and apply it over the area you want to exfoliate. Use as much as needed if you intend to use it over the whole body. Gently massage it into your skin and avoid sensitive areas. The scrub will feel rough, and it will facilitate the removal of the dead skin cells covering your body. Let it seep for a few minutes before rinsing so that the skin will have enough time to absorb the oils in the scrub. These oils aim to rehydrate your skin from the exfoliant. A 12oz tub is priced at $29.99 posted on online retail stores. Brown Sugar Crystals: This ingredient gently exfoliates the skin. Hydrating Oils: Olive oil, sunflower oil, grape seed oil, avocado oil, and evening primrose oil hydrates and gives skin moisture. 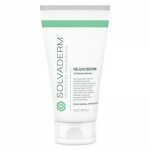 This exfoliating scrub removes the dead skin cells and promotes regrowth of skin cells. This product contains natural ingredients which are less likely to cause allergies. This scrub has a moisturizing effect that restores the dryness caused by exfoliation. This product is not recommended for all skin types, especially those with dry skin. Frequent usage of this product can dry the skin. This product is not appropriate for sensitive skin areas. Carol’s Daughter Sweet Honey Dip Chocolate Brown Sugah Scrub exfoliates and moisturizes the skin as it says on the label. It has the natural scent of the oils contained in it. 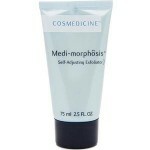 Using this product can smoothen the skin. 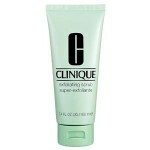 However, too much exfoliation with this product can dry the skin. 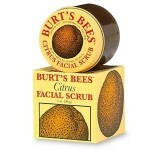 This scrub is not recommended for those who have sensitive skin and those with dry skin types. It may aggravate the dryness of your skin and may work against what you have intended in your mind. A single tub costs $29.99 which is a bit expensive for 12oz of brown sugar crystals. Also, this product is not listed on their official site. However, there are third-party retail sites that have them listed on their selection. We strongly recommend that you check out other natural exfoliants with essential oils that are not as expensive as this. Carol’s Daughter accepts returns up to 30 days after the date of purchase from their website. Unfortunately, this particular product is not listed on their official website. However, if you got it from a third-party retailer, the retailer’s return, exchange, and refund policy will be followed.